Railpictures.ca - MrDanMofo Photo: TTC 4060 at Yonge & Dundas at night. | Railpictures.ca – Canadian Railway Photography – photographie ferroviaire Canadienne. 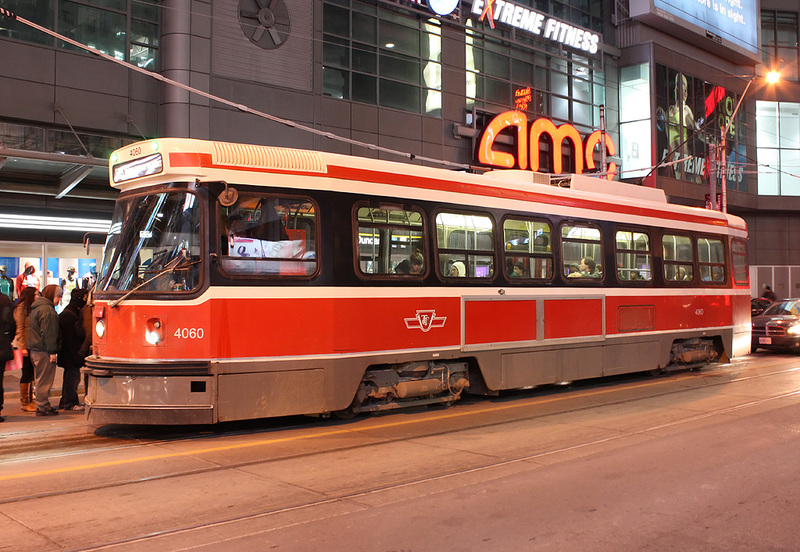 Caption: TTC CLRV 4060 loads passengers at the corner of Yonge & Dundas at night.